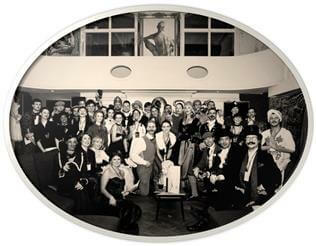 Murder Mystery and Mayhem was founded in 1989 by writer and Internet pioneer Dixon Jones. Since then, we’ve run thousands of different corporate and private events all over the UK and abroad. The company was originally based in Mill Hill, London. After a few years in Uxbridge, Middlesex, and Chalfont St. Peter, Bucks, our HQ is now in Ruislip, West London. It is a division of the corporate event and team building company Initiative Unlimited and the online downloadable whodunit business Murder Mystery Games. David Shannon is the company’s CEO. His acting name is David France. As well as creating and running murder mysteries, he has performed in a wide variety of films, plays and shows. Before becoming an actor, he was a journalist. He wrote for a wide range of newspapers and magazines, including Cosmopolitan, the Sunday Times, the Guardian, the London Evening Standard and the Mail on Sunday. When you speak to us, you usually speak directly to the people doing the work – not to any third party or agent. We may bring in specialists if we need help with something but nearly everything we do is created and run by us. This gives us a high level of control over the quality of what we produce. It also means we can respond nimbly to any special requests our clients make of us. The actors and facilitators who work for us are highly skilled and carefully chosen. Professionals who are very experienced in interacting with corporate groups and members of the public, they also appear every now and again in TV dramas and comedies, feature films and theatre shows. We pay them better than most of our competitors because they are better at what they do. If the people who book our murder mysteries didn’t enjoy them, we wouldn’t still be running them. Client satisfaction really is very important to us. We work with and for you, share the same space as you, entertain you and help you enjoy themselves. If you don’t like what we do, we’ll soon know about it! But after many, many years of running successful events, the feedback we get about them remains very complimentary.